http://www.pa-nj-injurylawyer. com/ Most people who have been injured in a car or truck accident have many questions following the crash. Some of the questions asked are, how do I file a claim, and what Philadelphia injury lawyer should I hire? These questions and more are answered on our personal injury website. 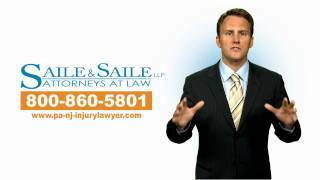 The attorneys of Saile & Saile LLP have designed a website with injured victims in mind. The goal of this website is to help someone make a wise decision on what to do and how to do it following a serious Philadelphia, Mercer County or Bucks County car crash. Our website has an insurance claims center to teach victims the process involved in making an insurance claim. We also have a medical treatment center so victims can view the local doctors who treat accident cases. We have answers to frequently asked questions, news articles on the ever changing injury law, and useful information on our injury law blogs. We even have information about our legal fees posted on our website. We want our clients to learn everything they can about the process before hiring a Philadelphia injury lawyer. If you have a question, you can click our free injury lawyer chat link and one of our experienced Bucks County injury lawyers will talk with you for free. In addition, you can fill out our submission form, and we will contact you for your free legal consultation. You can view this form and other useful information on our website at http://www.pa-nj-injurylawyer.com/.